a. Have cloud blowing races with multiple kids. If the kids are different ages, adapt the game for each one so that it is a fair race. For example, the youngest child may blow without a straw, an older child with a straw and an even older child blind folded and no straw. R enjoyed playing with her homemade kite. I encouraged her to run while the kite flew behind her, but she just wanted to launch it into the sky over and over. We practiced saying the word “kite” as I pointed to it. To make the kite, I taped two wooden skewers together (sharp tip cut off) in the shape of a cross. I then laid the cross onto patterned tissue paper. I kept the tissue paper as a double layer so that it was stronger. Using a ruler, I made a diamond shape on the tissue paper by making diagonal lines that went from one end of the skewer to the other. I cut along the lines and taped the two pieces of tissue paper together. I added a tissue paper tail to the kite to add a pop of colour. a. 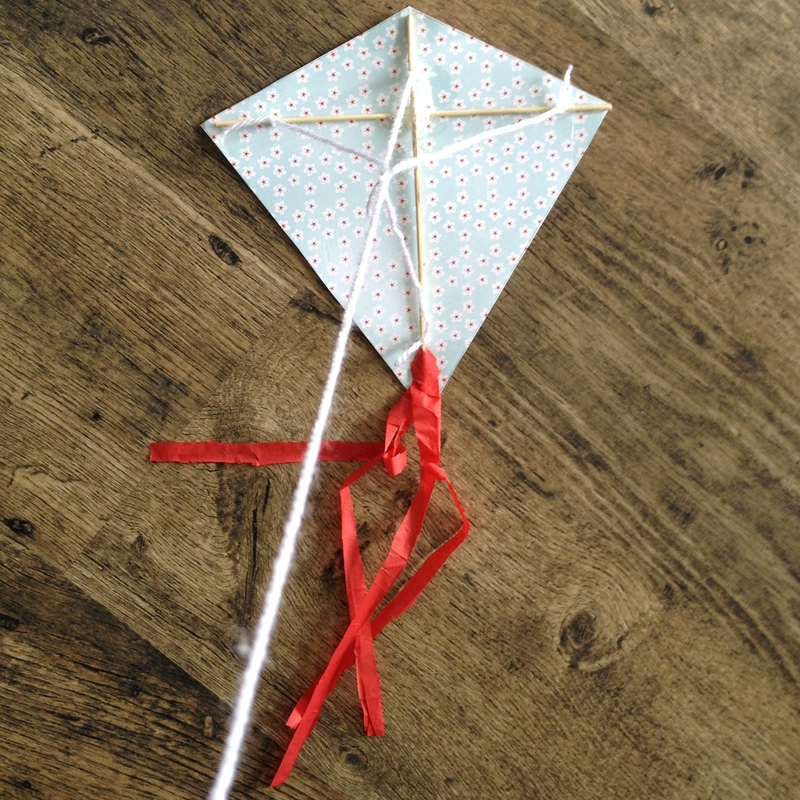 After providing a demonstration, teach the child to make him/her own kite. b. Do some experimenting. 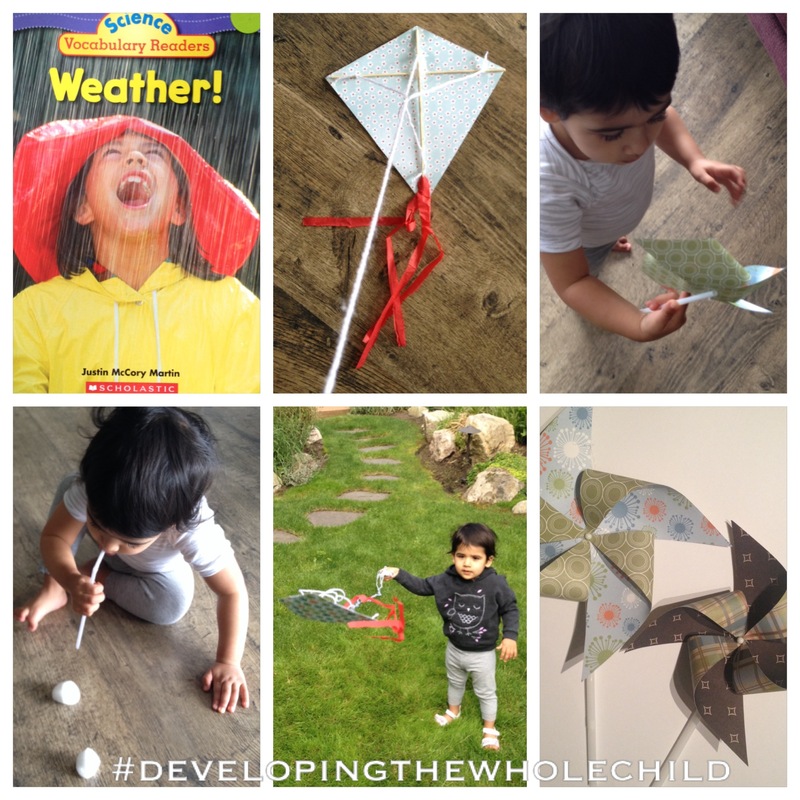 Ask the child the following questions for him/her to explore: Does the kite fly differently if the cross is made with the horizontal skewer placed higher or lower on the vertical skewer? Do different papers fly better or worse? Does the size of the tail make a difference in the way the kite flies? Have the child record his/her observations. I made a couple of pin wheels and showed R how they worked. Initially, she shouted, “wow”. Then, she tried to make them spin for about a second before she started trying to pull them apart!! 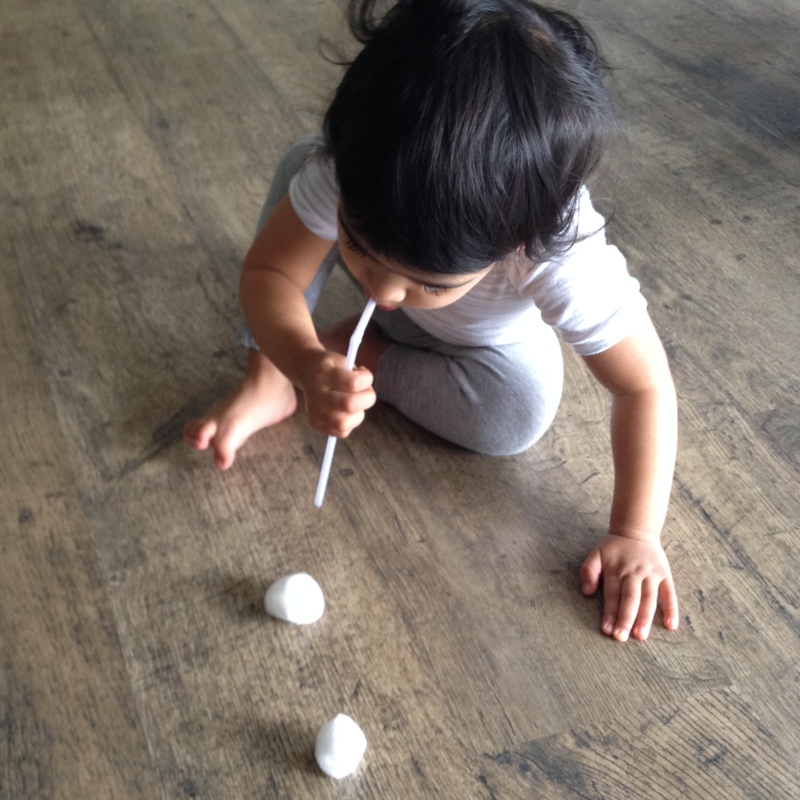 She really is such a curious little one and loves to construct and deconstruct everything! I used the instructions found on the Martha Stewart website. I poked the holes in the centre with a push pin, all the way through the straw also. I attached the pinwheel to the straw using a stud earring and clear plastic backing. a. 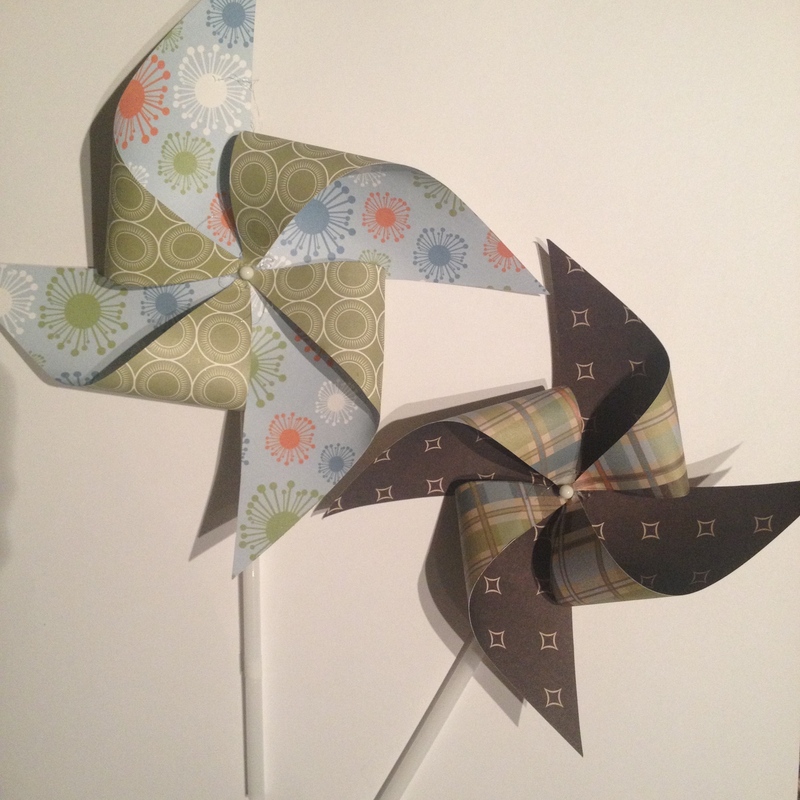 Teach older children how to make their own pinwheels and provide them with a variety of light-weight paper to choose from. b. Explore how wind can be used as a source of energy generation by looking online or in books together with the child. If there is one close by, take the child to visit a windmill or wind turbine to get some hands on experience with observing wind power at work. These are awesome activities and you always have the best photos! 😀 Shared on FB!